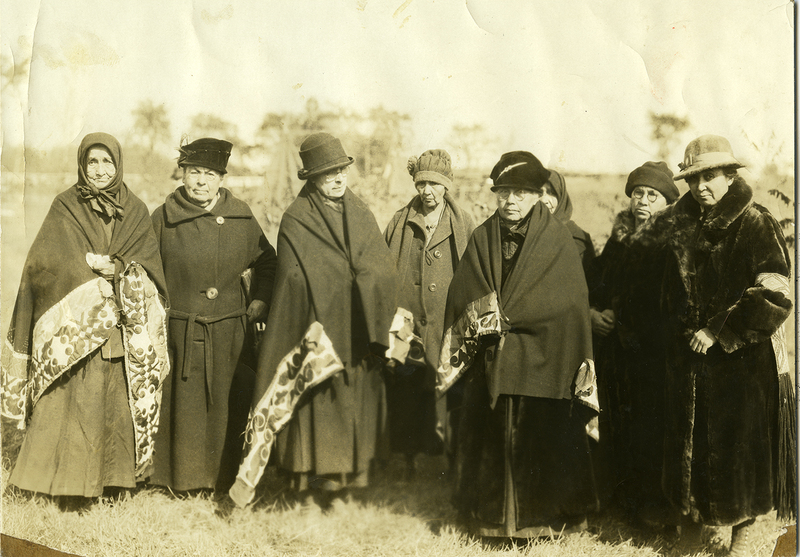 Clan Mothers are significant figures in Oneida history and the evolution of women. They are counselors for the people. The Clan Mothers are the backbone of the Iroquois people. Clan Mothers have significantly contributed to the Oneida Nation with their vision of the next seven generations in mind. The Oneida Nation has been fortunate to have a vision for the next seven generations that encompasses all that we do today, will affect our descendants. We have a nation of strong families and encourage a strong economy. We have created a community based upon Tsiniyukwalihot^. We have a mission to strengthen and protect our environment by exercising our sovereignty. Oneida women are strong, competent, loving and aspiring. Oneida women strive to create a quality of life in our community that builds upon the wealth of our environment and nourishes our young community. Oneida women are the grandmothers, mothers, aunts, wives, sisters and grand-daughters of our nation that are responsible to sustain the Oneida Nation. Working in collaboration with the grandfathers, fathers, uncles, sons, grandsons, brothers and husbands, Oneida will sustain our history, language and culture for the next seven generations. This is the final installment of the 4-part blog series created for Oneida Women in History Month. Thank you to all Oneida women, happy Oneida Women in History Month!